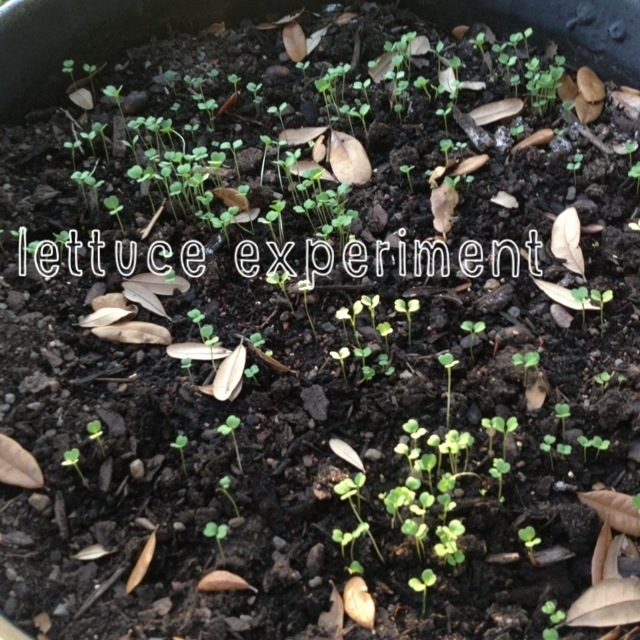 You may remember my winter lettuce experiment with a washtub on wheels (a good one if you want lettuce in winter in North Texas). Salad greens are not supposed to grow in North Texas in summer. Those are arugula and mâché seedlings. Looks like they’re growing so far–I planted them last Thursday. 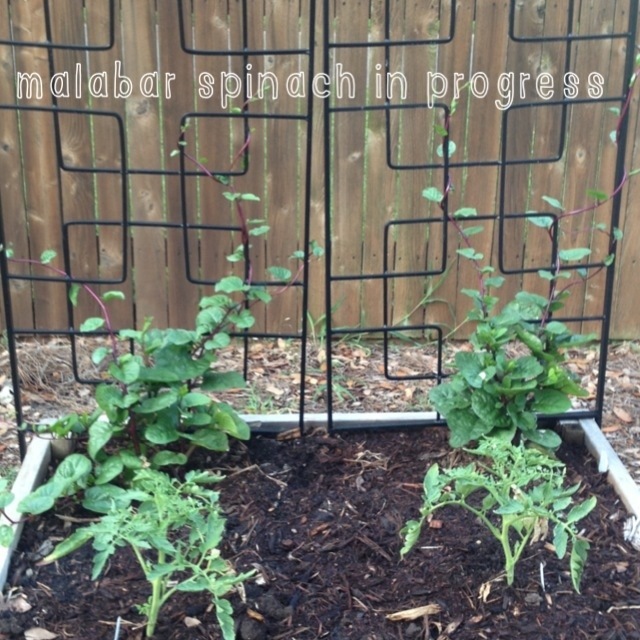 The Malabar spinach is also doing its thing as promised. I’m helping it along by guiding the tendrils towards the trellises. Looks pretty so far and apparently it could cover the trellises if I let it. 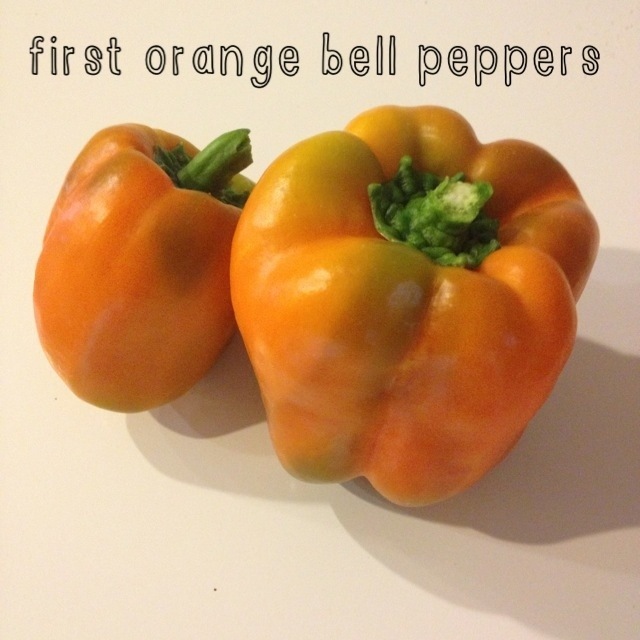 The orange bell peppers are finally ready. The first two were picked this morning and there are more to come. They looked delicious. I had already packed our lunches but they would have been lovely in today’s salad. Apparently the Urban Farm is a very romantic place these days. Anyone know what these amorous insects are? Somehow I missed picking this okra pod and now look at it. Those are full sized garden scissors. I fear it will not be very tasty but I’m going to see if stewing will work. 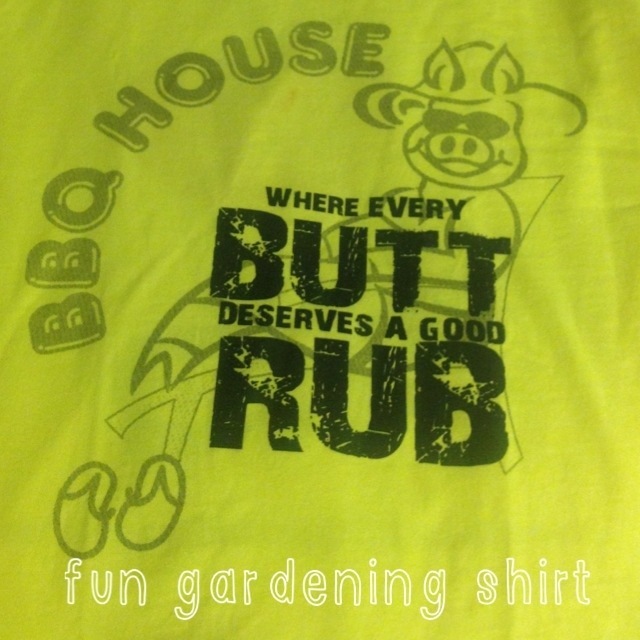 Check out my new gardening shirt from my coworker pal Deb (thanks, Deb!) She and her husband have the best BBQ restaurant in Myrtle Beach, SC. No joke! Its URL is http://www.BestBBQontheBeach.com! Of course, what would a post be without a gratuitous dog photo? 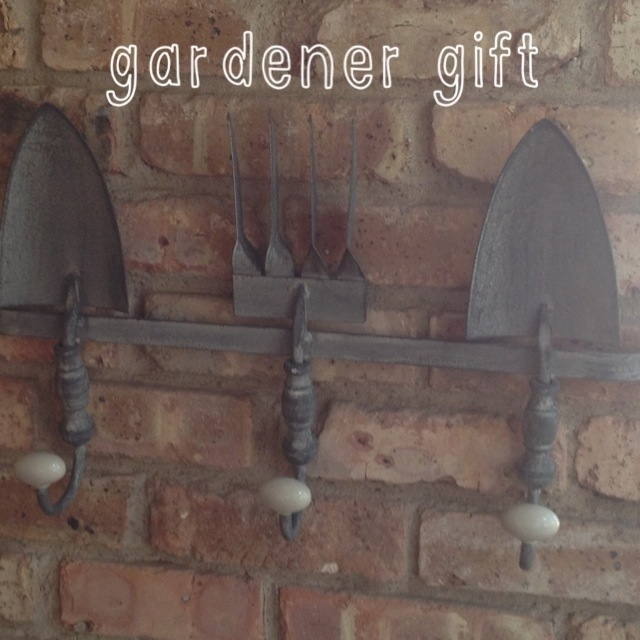 This entry was posted in Sow and tagged garden, gardening, Julie Petroski, Photos. Bookmark the permalink. Great post, hope you got some sleep! Aw! Thank you! It was a fun one to write. Your trellis is beautiful! I’m glad you’re helping the spinach get going. The orange peppers are perfect. I don’t usually have the patience for them to color up. We’re waiting on a giant green bell pepper to turn red and I’m getting anxious about it. 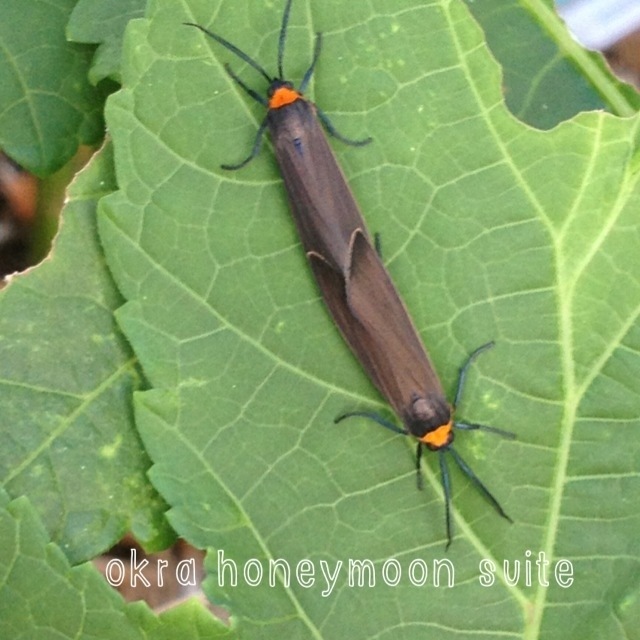 I love the picture of your okra bugs; I’ve got no idea what they are. Thanks for the trellis complement — I’ll tell Bruce you like them. He got them for me because he felt they worked with our mid-century thing we’ve got going on. I’m hoping that the spinach just covers the whole thing! We’ve been patient with the bell peppers only since we have so many Anaheim peppers and jalapeños! I really need to get pickling/roasting/freezing! Been giving them away though and that’s fun too. 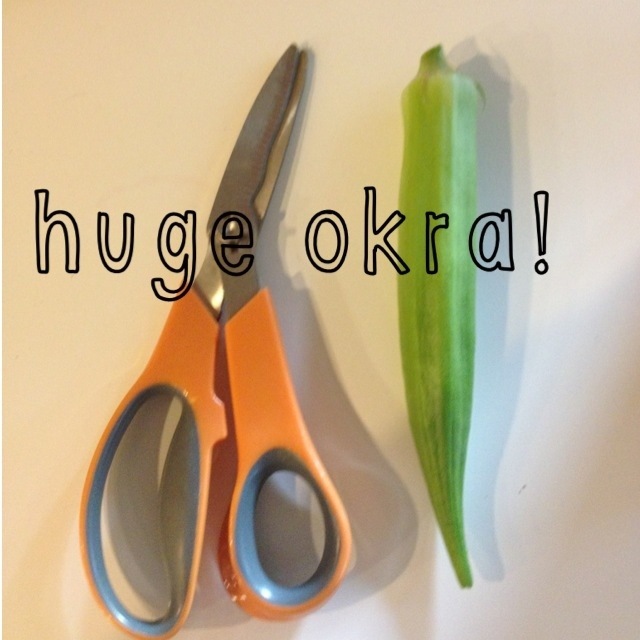 Good luck with your okra and thanks for reading! Especially George, right? Lol. Thanks for reading and I hope you’re feeling better. Ah well.. we have a soft spot for the G’s… but then, it really is a privilege to watch you take something and transform it through sheer hard work, vision and love. 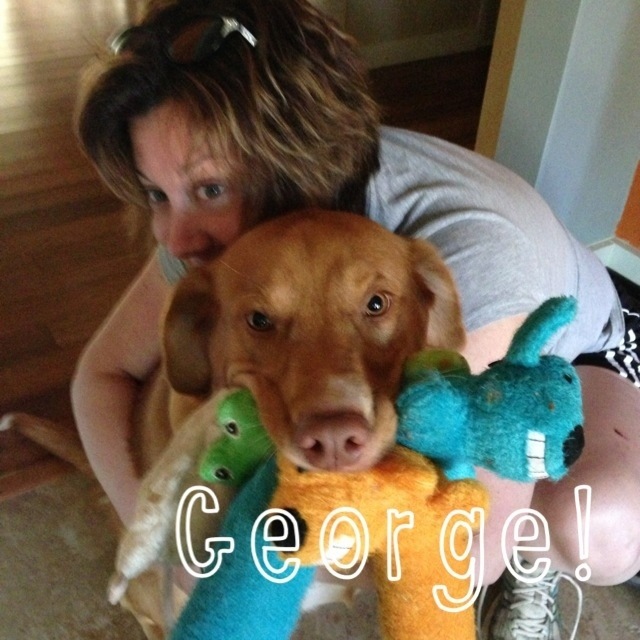 George is a popular guy! Hard to imagine that he was dumped at the shelter last year after he tried to jump a chain link fence and got caught on it. He is very sweet and definitely the goofiest of the 3Gs. Thanks for reading! Aw! Thank you for reading. That’s my inspiration to keep writing and taking photos. Peppers look delish. I love peppers. And the lettuce is just nuts! It’ll be all over the place by the time you get home. The lettuce is shocking me with how much it’s growing each day. I’ve not seen it take off quite like this–must be enjoying the shade on the patio. Of course, it’s so hot that we’re now watering twice a day and this weekend I’ll be making burlap tops for the fall tomato cages so they don’t get sunburned. Too bad I can’t douse them with organic SPF for tomatoes! There’s an invention for you to come up with! Seriously. What a great idea. You’re absolutely right! And it could marry sow and sew…. Not the plant sunscreen obviously but the “hat”. Yes. Now all we need is a catchy name and a goodlooking label.